Data science X Women Empowerment: Isabelle co-founded Isahit to empower women in Africa in the digital age. Isahit is an Internet Impact Sourcing platform for digital tasks: they provide digital work to economically disadvantaged women in Africa and train them to those new skills. Blockchain X Climate: Ana Karen is the CMO of Climate coin, a new cryptocurrency created for Climate change action. Climate Coin enables every person in the world to contribute to this global problem, and use the blockchain technology as a revolutionary way to eliminate intermediaries. Crypto-technologies X Human rights: Raquel is Senior Legal Advisor at eyeWitness to Atrocities. eyeWitness has developed an award-winning technology that authenticates and safely stores digital material (such as photos of videos) for the prosecution of war crimes. 3D-printing X Plastic waste: Ana is co-founder of PlasticoCircular, a project developing 3D-printing facilities to transform plastic waste into new objects. On the 8th of November 2017 I had the chance to meet them during our 2nd MakeSense event of the “Tech for the Global Goals” series. Here are some learnings from their talks. This event happened during the Web Summit, where startups and corporates showcase their latest innovations and technologies. Most of them focus on the WHAT — ie their product (a new app, software, algorithm, etc.) and the HOW — ie the technology behind it (IoT, AI, deep learning, etc.). When talking about innovation, there’s always a need to explore first and see what happens next. Still, having a vision is so important when it comes to entrepreneurship. Isabelle’s, Raquel’s, Ana Carolina’s and Ana’s pitches re-ensured me. They all started their stories with a deep WHY, a strong reason why they started their project. At the beginning of their journey, there is always a deep experience of a problem, a turning point when those entrepreneurs decided to jump in because they couldn’t bare such an unjust world. When it comes to social innovation, purpose comes first. Technology comes as a tool to leverage more impact and open new frontiers for impact. Plastic Sundays started as a beach cleaning initiative led by Ana and her friends. 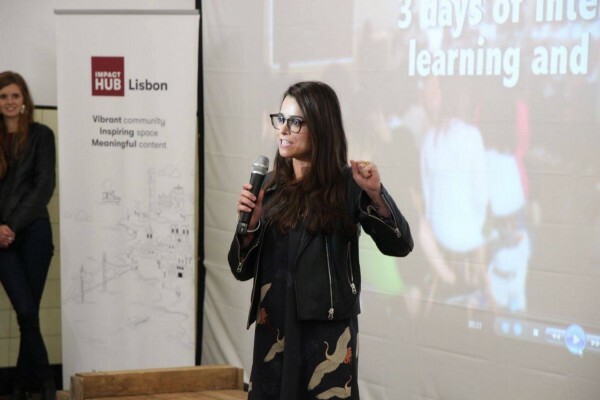 Based on the success, the City of Lisbon asked them to expand this program and create a city-level program to get all relevant stakeholders to collaborate. 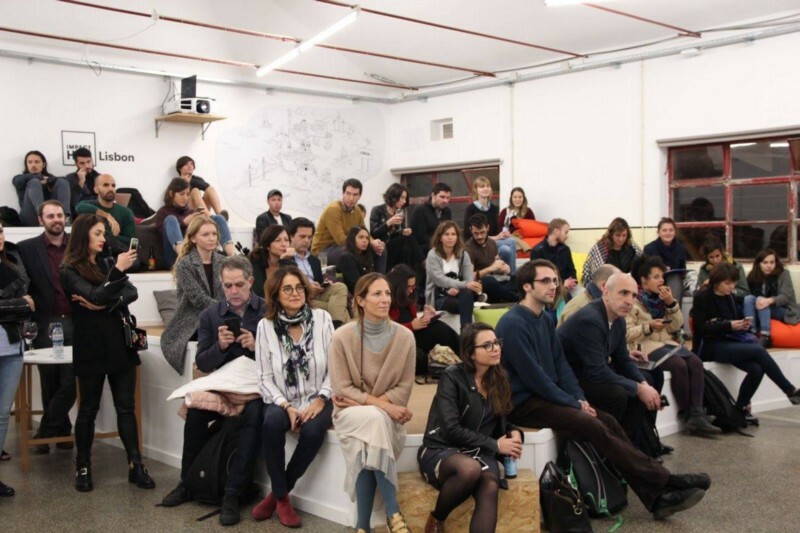 Starting from her intuition, Ana is now leading the ZeroWasteLab, an independent NGO working to bring together institutions, businesses, scientists, artists, civil movements to work together to erase plastic waste! Thanks to collective intelligence, they are developing simple 3D printings tools to transform plastic waste into new products. Click here to discover more stories of social entrepreneurs. Raquel develops eyeWitness to Atrocities. She is a lawyer and decided to jump in with some colleagues when she realized that many human-right abuses were left unpunished because of a lack of valid evidence. 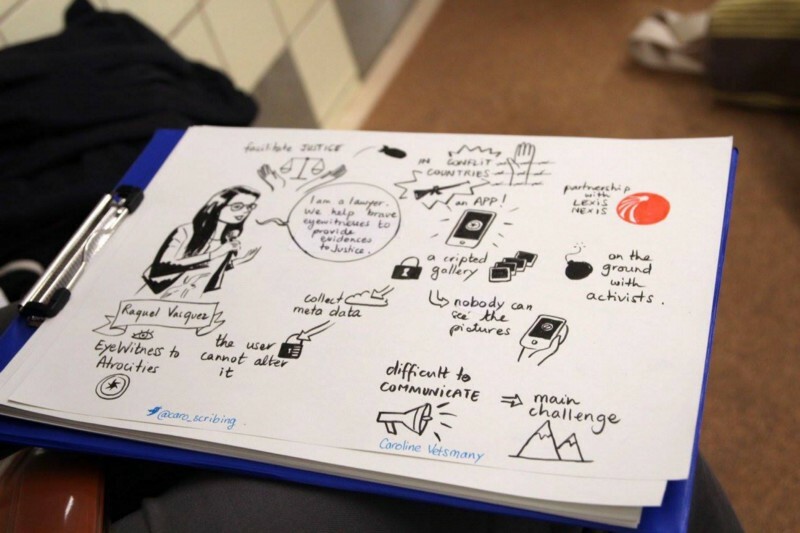 To develop eyeWitness application, the team spend months and months on the ground, with civil-right organisations and local activists, to understand their needs, their fears, their habits. Now that the app is live, a continuous work of training local organisations is needed to make sure they use this tool for their safety and their defense! But changes not only happen among those who need it. Behavior changes and consciousness must involve all of us! This is the vision behind Climate Coin — a cryptocurrency created to finance Climate change actions, projects and companies. As Ana Karen clearly stated it, their mission is to create a symbol for the common man to be able to participate in this fight against Climate Change. The revolutionary blockchain technology is what they have chosen to achieve this mission with transparency and security. Thanks to technology, we can all become an important part of the solution to Climate Change. I strongly believe in the power of communities to change the world. With MakeSense, we give citizens and entrepreneurs the power to build their communities and together solve the issues they care about. But I promise, it wasn’t part of the brief for that event! And still, the 4 of our women entrepreneurs explained why community-building is a key pillar of their model and how they manage it. Isahit offers a platform to women in Africa and online trainings for them to complete easy digital tasks from their homes. They earn complementary revenues — up to 200€ a month — and are thus able to continue their studies or start their own business. They also gain new digital skills they will need in the future. They are empowered both economically and socially, to play a bigger role in their society. 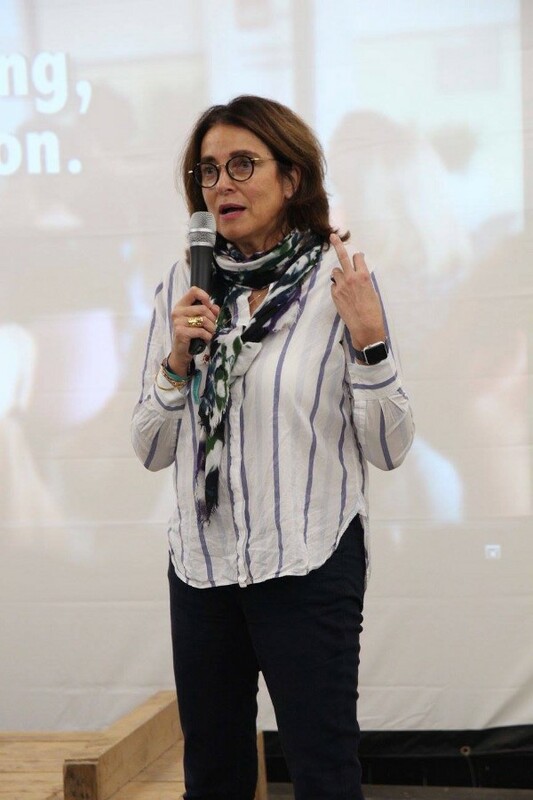 To make such a great service used and useful, Isabelle, Isahit’s CEO, is working hard and accompanying each and every women in the learning process and the administrative organisation. She spends hours on the phone with those women, to understand how Isahit can truly contribute to improve their lives and skills. To do it at scale, Isahit trains local community-organisers: they are the key nod between the platform and the beneficiaries. The more I am thinking about it, the more I am convinced that Technology X Social entrepreneurs X Community-building can be a key recipe to solve the big problems of our world. Register to our newsletter here.